I am excited to say that we are going to be having a new weekly series on Sweet Athena for this Summer. As I am sure you have gathered this series is called, ‘Makeover Monday’ and the idea is to take old, boring and ho-hum items in your life and re-do them into new shiny stars. To start, I thought it made sense to bring out an old stand by make over tool of mine, chalkboard paint! This tutorial really is a two part make over. First it is about taking your left over candle wax and making new candles. I’m a saver who happens to love candles, so when candles burn out there tends to be extra wax leftover, which I like to save. 1) Add leftover wax and some of the store bought wax flakes in the pot. Slowly heat pot and stir with wooden spoon until all wax is melted. I find it fun to combine different colors of leftover wax to create new colors. If you find that the color combo did not turn out like you has hoped for, just add some liquid color dye for candles to add a new punch. This would also be the time to add a fragrance, if you so desire. 2) Prepare containers by placing wicks in the middle and wrapping the end of the wick around a pencil and laying the pencil horizontally across the candle container to hold the wick in place. 3) Pour wax into each container. I find this part to always be a little messy, but do not worry. Spilled wax can be cleaned with cold water or ice. 4) Allow wax to set and cut wick to the right size. 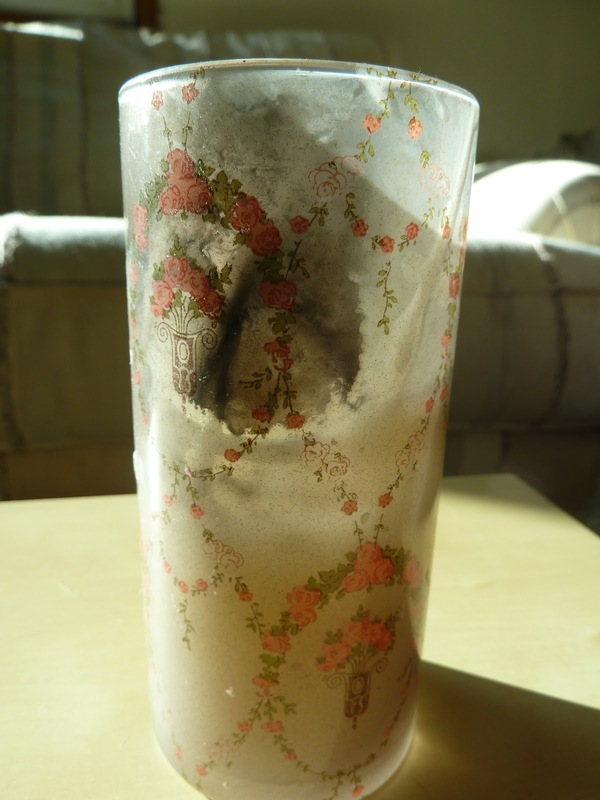 One problem I have with candles is that they often can leave burn stains on the containers as you use them. While I am sure a good amount of elbow grease could remove this charred look, I frankly find that to be too much work and not enough fun. I prefer a make over! 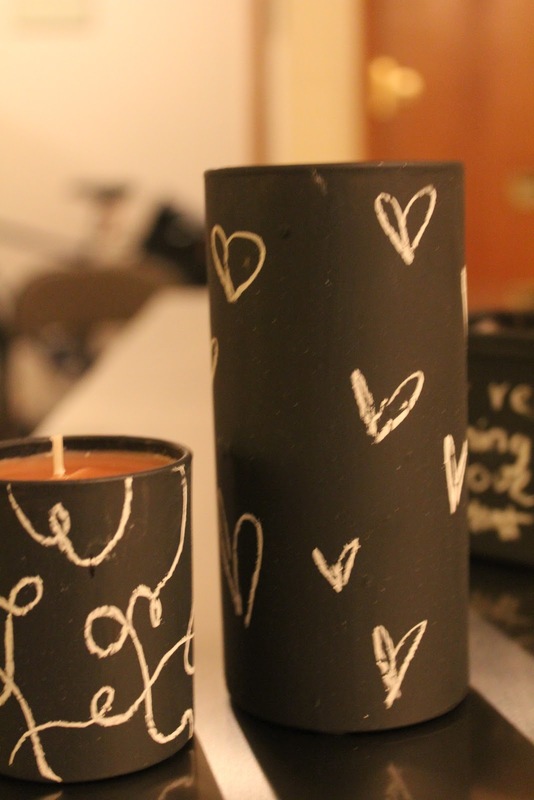 I therefore decided to take cleaned out old candle holders and paint them with chalkboard paint. I really like the way the candles came out. This look works better for small containers that way as you burn the candles you can still see the flame. 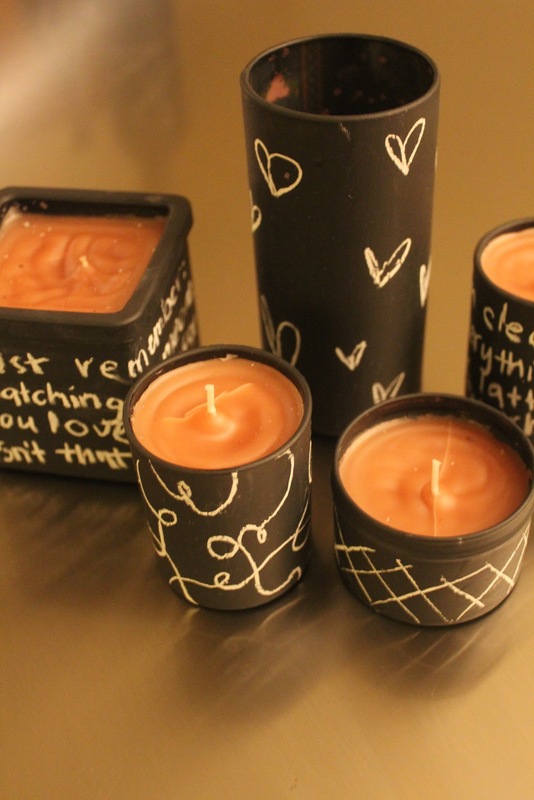 These also make fun gifts as you are able to personalize what you write on the candle. I gave a few as gift to a friend with some of our favorite TV series quotes on them. so cute. I am obsessed with chalk boards right now. I just ordered chalk board paper to turn some old ugly pictures with frames into framed chalk boards! So fun. That is a project I would love to see. I’m glad to hear I’m not the only one who is obsessed with this right now. What a transformation! 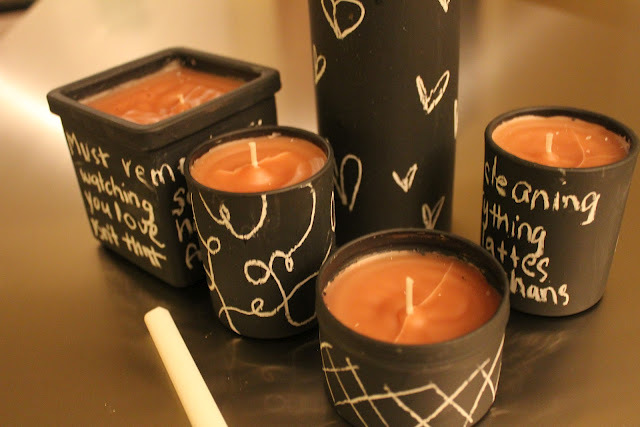 Love these cute chalkboard candles! 🙂 Thanks for linking up to the “Get Your DIY On” link up party! Be sure to bring your Halloween project to the party tomorrow at 7 PM!